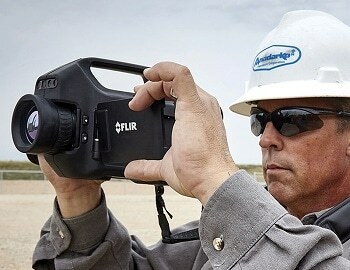 FLIR Systems, a leading technological innovator in thermal imaging, has introduced the affordable SC35, SC15 and SC5 camera packs for R&D applications. Thermal imaging cameras can be used for a wide variety of R&D applications. However until now access to high performance thermal imaging cameras was often the privilege of just larger R&D groups. 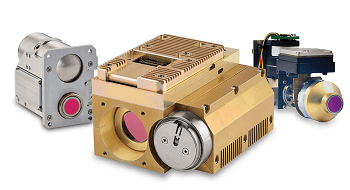 Visualizing temperatures from -40°C to +550°C,with temperature differences as small as 50mK, the new ultra-compact SC Series Camera Packs bring the advantages of research grade thermal image to the test bench of every R&D engineer. In the R&D environment - the thermal imaging camera is just one part of the solution, of equal importance is software to analyze the thermal image.Designed with R&D engineers in mind - FLIR Tools+ software is included with every SC35, SC15 and SC5 Pack. Working seamlessly with SC Series Camera Packs - FLIR Tools+ software enables researchers to view, record and analyze thermal image data with functions such as time versus temperature plots. For experiments that require more than one camera to cover the object, or for stereoscopic applications, it is also possible to configure one SC Series Camera to be master and others to be slave(s). 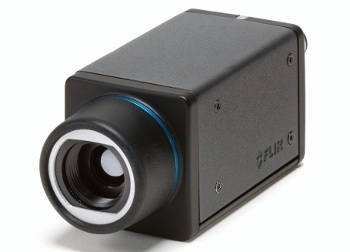 The FLIR SC Series Camera Packs come standard with GigE Vision™ - a state-of-the-art camera interface developed using the Gigabit Ethernet communication protocol. GenIcam™ is also supported on the FLIR SC Series Camera Packs to provide a generic programming interface for all types of cameras. Therefore regardless of interface technology (GigE Vision,Camera Link, 1394 DCAM, etc.) or features implemented, the Application Programming Interface (API) will always be the same. Pioneers in all aspects of infrared technology, FLIR designs, manufactures, and supports thermal imaging systems and subsystems for industrial, scientific, governmental, commercial, and firefighting applications. With a 40-year history of infrared innovation, over 100,000 systems in use worldwide, and development centres and sales offices in over 60 countries, FLIR is the world leader inthermal imaging technology.